IslandCraft changes the biome distribution of the world to create an endless ocean filled with randomly generated islands. 21 June 2017: Updated for 1.12! 5 December 2016: Updated for 1.11! 26 June 2016: Updated for 1.10! 14 May 2016: Updated for 1.9.4! 4 March 2016: Updated for 1.9! 23 February 2016: Released BETA version for Sponge: here! 10 March 2015: Updated for 1.8.3! 30 January 2015: Updated for 1.8! 8 August 2014: 1.0.0-beta is now available! Please refer to this wiki page and please provide feedback in this forum thread. Thanks! 2 August 2014: Updated this page for 1.0.0-beta release which should be here early next week! Updates will be released within a few weeks of any significant CraftBukkit updates to add compatibility for the new versions. In addition, the following releases are planned. IMPORTANT: As IslandCraft heavily modifies the terrain generation, it can destroy your worlds if you're not careful with the configuration. BACK UP EVERYTHING BEFORE INSTALLING. You have been warned. IMPORTANT: After changing "ocean" or "island-distribution" you must reset your IslandCraft world. So make sure you get these right before spending much time playing on the world. To reset the IslandCraft world, you need to delete the file "server/plugins/IslandCraft/IslandCraft.db" and the folder "server/world_islandcraft". And then recreate the world using Multiverse or Multiworld. You can safely add/remove/modify the "island-generators" without needing to reset your world. Islands which have already been generated or partially generated will continue to use whatever settings you had when they were created. Islands in newly explored chunks will adopt the new settings. DISCLAIMER: Consider the API features of IslandCraft to be in Beta. They have not been thoroughly tested and are subject to change in the future. I would love to hear any feedback you have if you try to use this! Information for plugin developers who wish to integrate with or modify/extend IslandCraft can be found here. What happened to the other features? While in alpha, IslandCraft included some chat and other miscellaneous features. These have all been removed as there are other plugins you can use for this purpose. Going forward, IslandCraft will have a much narrower feature set focusing on just the islands. The RealEstate features (including Vault, WorldGuard and Dynmap integration) will be making a return in a new separate plugin. Separating these from the terrain generation provides a number of benefits. It helps me to keep them on separate release cycles, so I can release updates for the terrain generation very quickly as new versions come out. It has forced me to create an API so the plugins can cooperate, this will also allow others to make plugins which integrate with IslandCraft. Are you running a public server with IslandCraft? Feel free to advertise in the comments below or on the forums. Lately I've been playing on Anvil Network's PlunderSeas. A great server which combines IslandCraft with MoveCraft for the ultimate pirating experience! Also check out The Homestead server, looks like a great community of mature players! This plugin sends statistics about the usage to http://mcstats.org/plugin/IslandCraft. If you wish to disable this data collection, follow the instructions to server owners for opting-out which can be found here. More information can be found on the IslandCraft wiki. FANTASTIC resource, I'll use it on my new server so I hope that will continue to be developed! this is really cool! do you have plans to update this for 1.13, since it adds on a tonne of ocean stuff? can someone help me fix so that the islandcraft world is my main world, So you dont have to tp to it. you just spawn in and thats it? mc.anvilnet.com is a great server that uses this plugin. The server does a great job of implementing this plugin to the pirate themed server. The server not only uses island craft, but also movecraft, which allows people to sail from island to island! mc.anvilnet.com is a great example of a great use of this plugin! 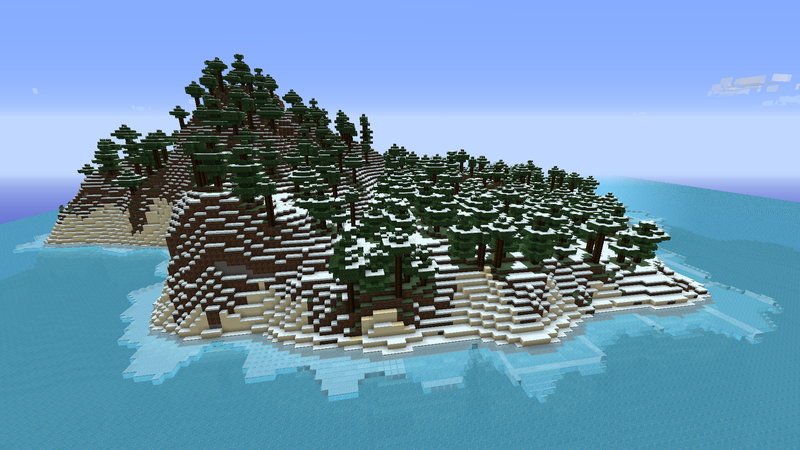 This does not work with the latest version of Epic World Generator (v8-Snapshot). I know that may not be this plugin's problem, but I figured I'd report as much so others who come here might save some time. Thank goodness for a decent world generator!! All the other world generators are old and not updated, unlike this one. Thanks for maintaining such an epic plugin! Update for 1.12 is here! Should be available soon! Just waiting for the file to be approved. Hi hoqhuuep! Is it possible to create only random generated Sky-Islands? Thanks for the amazing plugin, I've been using it years now and never had any bugs! I do have some questions however. I am currently in the process of making a custom gamemode. One of my plans with this gamemode is to make it so that you can own an island, just like it is with plots for something like PlotMe. So, for that, I am developing a custom plugin. Now, I took a look at your API and I can't really figure out how to detect where an island starts and ends. I also took a look at the SQLite database that was in the plugin folder and didn't find anything there. Is there any easy way of doing this? Otherwise, I could just track for anywhere that it isn't a Deep Ocean biome. Also, I was planning on having a flag spawn at the middle of the island (out of wool and fence probably). That seems to be possible with your API, and I'll try doing it! If you have any tips, let me know. The API only really gives you a bounding region for the islands, rather than the exact boundary, though you could check the biome as you suggest. Thank you for the reply! Over the past week I have been using the plugin you recommended and it seems to be working flawlessly for what I want to do. Using PlotSquared for my project seems like a great idea, it's working great so far. I just have to find a way to separate the Creative Plots that we have already with the islands. But that's a problem with PlotSquared, not IslandCraft. As for the flag, I used a beacon instead and a bit of math to find where the center of the island is. Then, I just paste in a schematic and fill the top with barriers whenever a new chunk generates. It's working flawlessly so far.